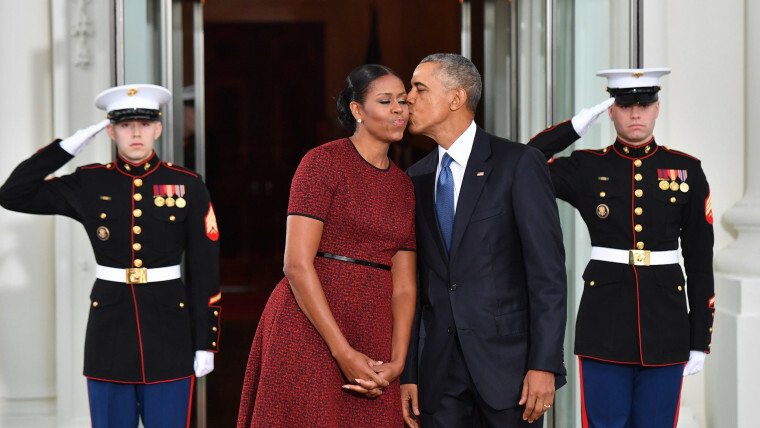 Just when you thought Valentine’s Day couldn’t get any sweeter, former President Barack Obama and Michelle Obama step it up another notch. The couple wrote sweet Valentine's Day messages to each other on Twitter — and even exchanged a playlist! Included in the tweet is a link to a custom Spotify playlist, named "Forever Yours," made of 44 heartwarming songs, a clear nod to her husband being the 44th president of the United States. On the playlist, Barack will find some Beyonce, Coldplay, Adele, and even Cindy Lauper. Not long after, Barack responded with a tweet of his own, posting an adorable photo of them hugging. While it’s not clear when the photo was taken, we’d guess that it’s a recent one as they’ve been enjoying the free time that comes with not being in the White House. He captioned the photo saying: "Happy Valentine’s Day, @MichelleObama. You make every day and every place better."